The Association of Master Bakers and Caterers of Nigeria (AMBCN) have cried out over the exorbitant cost of raw materials which they said is killing their business, even as they appealed to the federal government and other relevant stakeholders to come to their aid. Chairman Southwest zone of the Association, Alhaji Abidu Salauden Abolusondun, said the exorbitant cost of raw materials in the production of bread is alarming. He noted that cost of items like flour and other materials for the production of bread has over the roof. Abolusondun pointed out that unless government intervenes in control of the prices of raw materials for the production of bread, cost of the staple for in most homes in the country would soon go beyond the reach of most Nigerians. The AMBCN boss also disclosed that the high cost of bread is gradually forcing Nigerians to abandon the product. He also said this challenge can be brought under control if government and other stakeholders can render support in terms of finance, regulating the price of raw materials for the production of bread and free license to importers. Abolusondun said bakers companies are second largest industry for employment in Nigeria and that with the right price for these products, bakers can reduce the rate of unemployment in the country if they remain in the business. 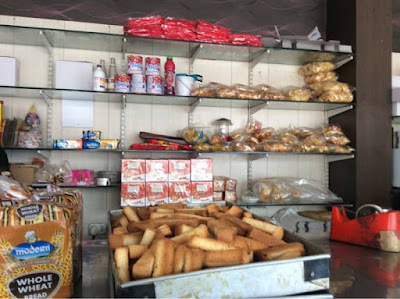 AMBCN Southwest zone Chairman also promised to reduce the price of bread and make it cheap and affordable to the final consumers if federal government intercedes to bring down the cost of raw material for bread production.